– An unidentified European buyer paid 1.26 million euros ($1.4 million) to win the Soviet-era VA capsule offered by Lempertz on Wednesday (May 7). The auction's two other lots, Sokol KV-2 spacesuits worn by Michael Foale to the International Space Station and Alexander Kaleri to the Mir space station, sold for 70,000 euros ($97,400) and 63,000 euros ($87,700), respectively. 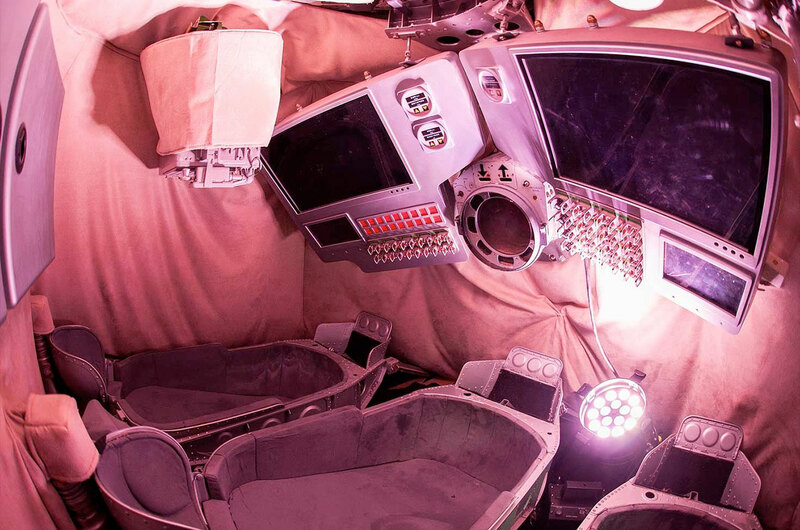 — A secondhand Soviet-era space capsule that launched into space twice is set to be sold in Belgium on Wednesday (May 7). 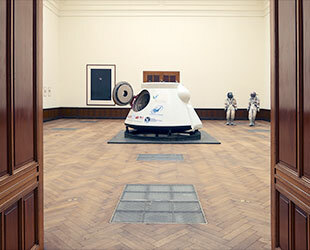 The Russian VA (Vozvraschaemyi Apparat, return vehicle) crew and cargo spacecraft is being offered by the Berlin-based Lempertz auction house at its newly-opened gallery in Brussels. Estimated to sell for $1 to $2 million (US), the capsule is said to be the first historic spacecraft to be put up for sale in Europe. 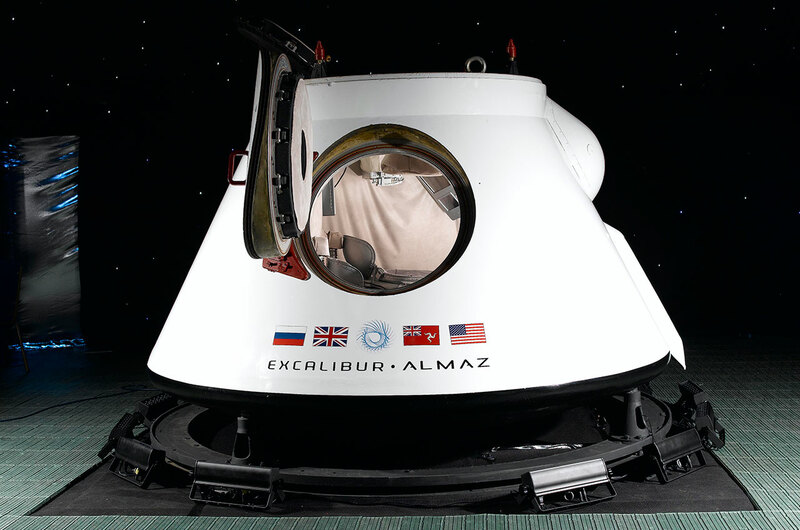 "We can now offer you a space capsule with which you can enter into orbit, broaden your horizon and return safely back to Earth," Lempertz's Kilian Jay von Seldeneck said. "It has been in space twice and is still in working order." 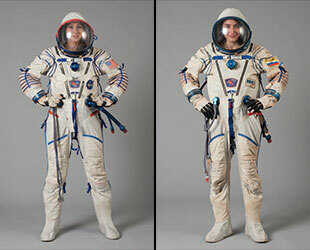 In addition to the capsule, Lempertz is also auctioning two Russian Sokol spacesuits, one donned by a cosmonaut to fly to the former Mir space station and the other worn by a British-American astronaut for his flight to the International Space Station. 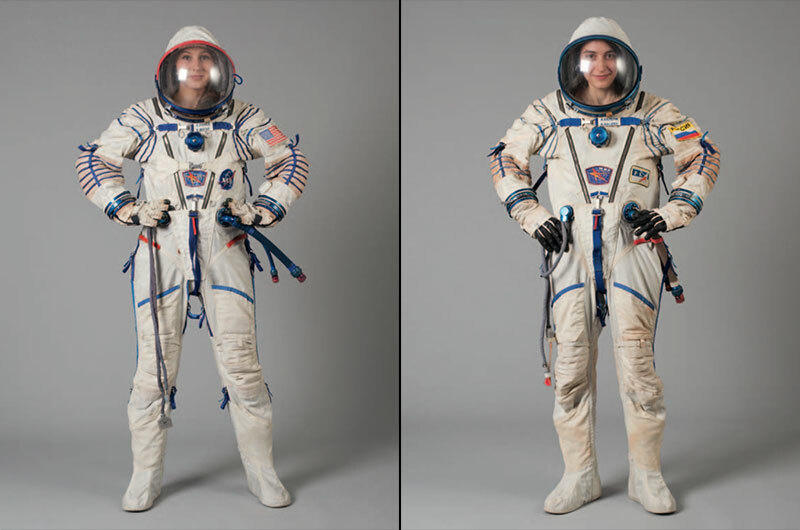 The two flown spacesuits are estimated to sell for $80,000 (US) each. The VA spacecraft was first developed to fly cosmonauts around the moon, but with the cancellation of the Soviet manned lunar program in the early 1970s, the capsule was repurposed to support plans for Russia's classified Almaz military space stations. The 9-foot-wide (2.8 meter), 4,100-pound (1,850 kilogram) capsule Lemperz is selling made its first trip to space atop a Russian Proton rocket on July 17, 1977. Its launch from the Baikonur Cosmodrome in Kazakhstan marked the first flight of a complete "TKS spacecraft," comprised by a VA capsule attached to a functional cargo block (FGB). Known as TKS-1, or Cosmos 929, the unmanned mission flew alone in Earth orbit for 30 days. The capsule returned to Earth on Aug. 16, 1977, having completed a variety of test maneuvers. For most spacecraft of its day, the touchdown would have marked the end of the space capsule's use, but instead it was refurbished and launched again less than a year later on March 30, 1978. That test flight, again without a crew, was labeled Cosmos 998 and lasted just one revolution of the Earth. The VA capsule reentered and landed the same day. The VA spacecraft was not the first capsule to launch into space twice. NASA's unmanned Gemini 2 spacecraft flew two missions a decade earlier, though both of its launches were suborbital. The Soviet capsule circled the Earth. After its second flight, the Cosmos 929/998 capsule was used for ground tests, including supporting a three-day-at-sea water landing test with a three-man crew commanded by cosmonaut Gennadi Sarafanov. 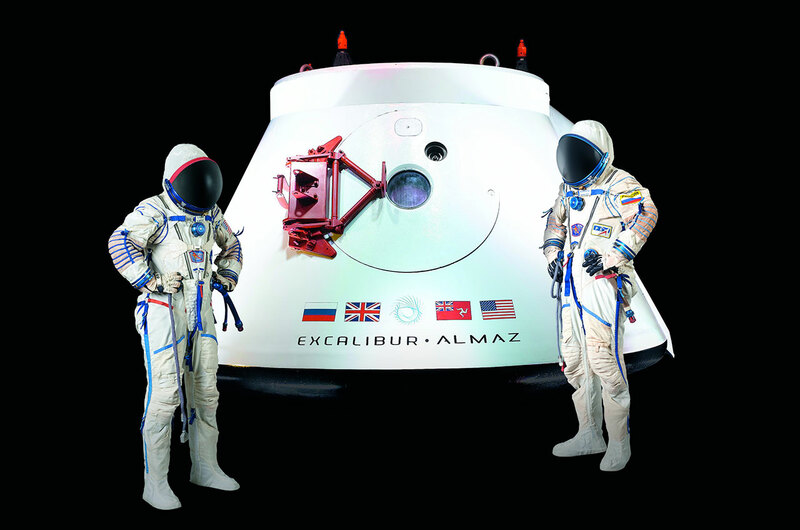 More than two decades later, the VA capsule was sold to Excalibur Almaz (EA), a British company that planned to reuse the Soviet artifacts to offer commercial spaceflight services. In total, EA acquired four VA capsules and two Almaz (Salyut) modules in hopes of flying the combined spacecraft as a crew and cargo transportation system to the moon, the asteroids and deep space. 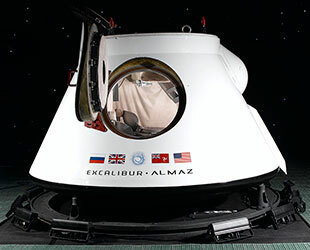 The VA spacecraft being offered still bares the Excalibur Almaz name and logo, as well as the flags of Russia, the United Kingdom, the Isle of Man and the United States. Unlike the spacecraft, which never visited a space station, the spacesuits being offered by Lemperz were aboard two orbiting outposts. One of the Sokol KV-2 spacesuits being auctioned was worn by cosmonaut Alexander Kaleri on his August 1996 Soyuz TM-24 mission to the Space Station Mir. In space for nearly 200 days, the suit features patches for Mir, the Russian space agency and the flag of Russia. The sale's second spacesuit was used seven years later by British-American astronaut Michael Foale for his 2003 Soyuz TMA-3 mission to the International Space Station. Also in space for almost 200 days, Foale's suit is adorned by a U.S. flag, a patch for the suit's manufacturer Zvezda and NASA's insignia. 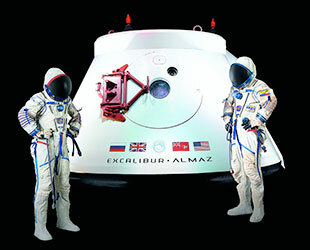 Examples of both the spacecraft and the spacesuits have been sold before at auction. 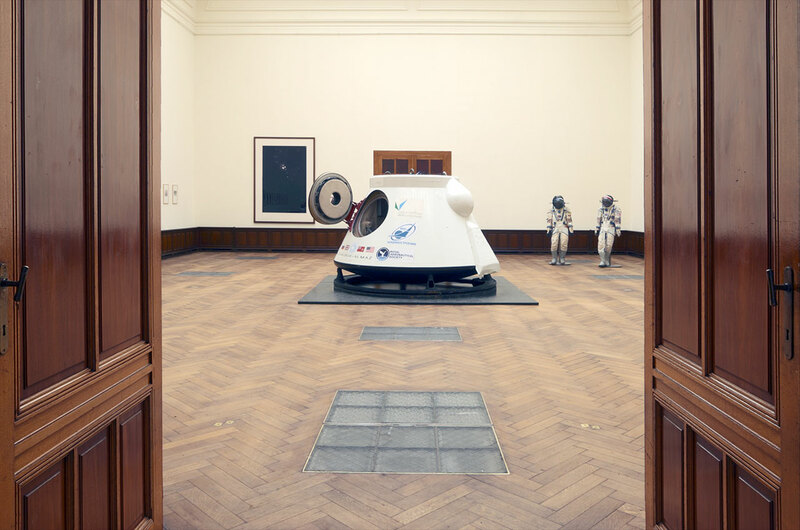 In 1993, Sotheby's in New York sold a similar (though only once-flown) VA capsule for more than $500,000. The craft, which was mislabeled as a "Merkur" capsule as the result of a mistranslation, is on loan by the Perot Foundation to the National Air and Space Museum in Washington, D.C. 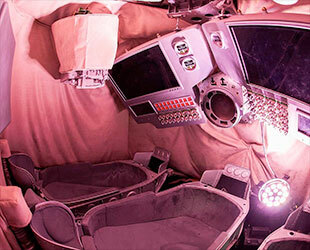 In 2012, Bonhams in New York auctioned the Sokol KV-2 spacesuit used in training by astronaut Shannon Lucid for $35,000. In 2011, Heritage Auctions of Dallas sold a flown Sokol KV-2 suit that cosmonaut Anatoly Artsebarsky wore to the Mir space station for $17,925. For more information or to learn how to bid, see the sale's website at: lempertz-spacesale.com.